In the large-scale commercial exhibition, one always faces problems like space is not enough, or the predetermined fixed exhibition hall cannot meet the need in the scale. 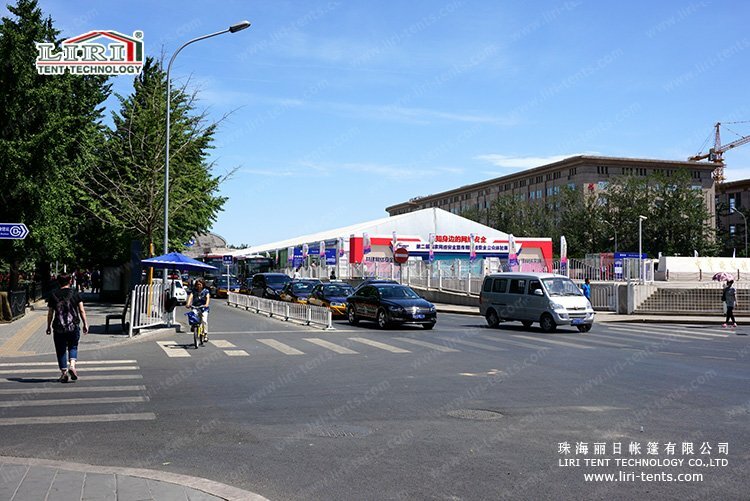 And this is the time when our 20×60 commercial tent come into play. 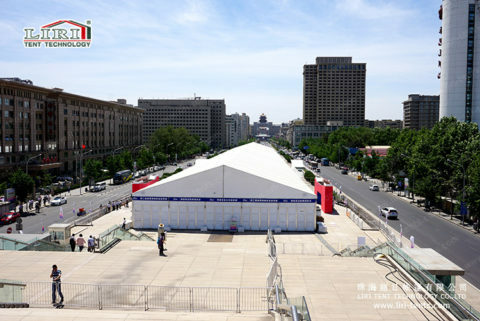 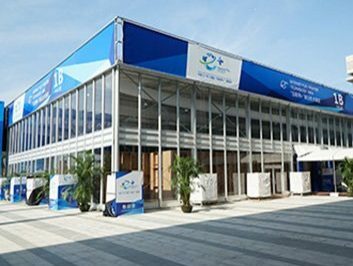 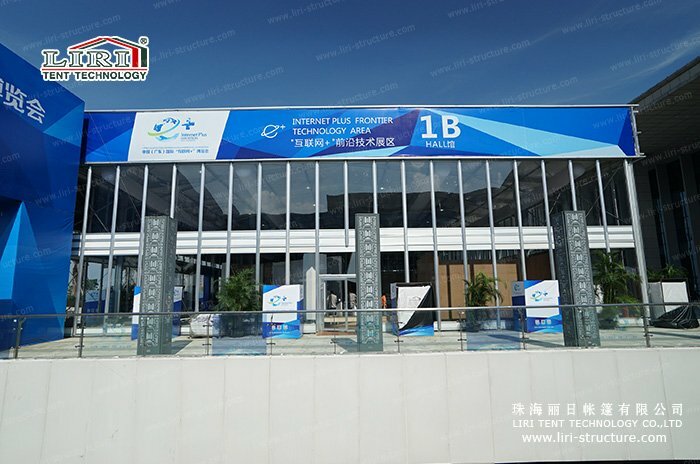 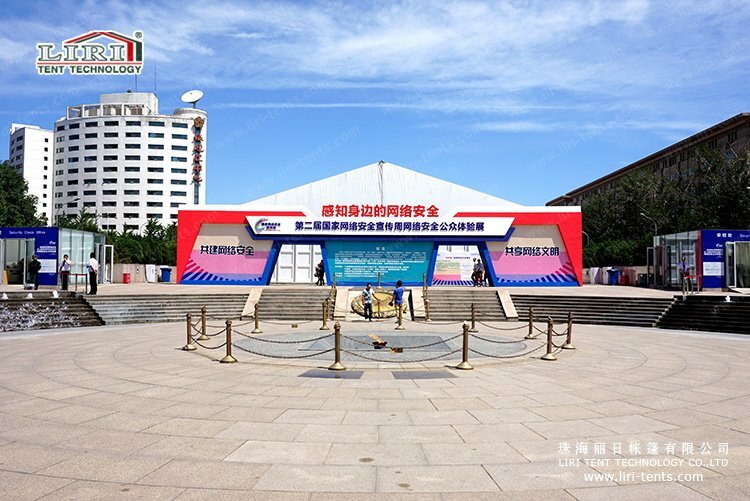 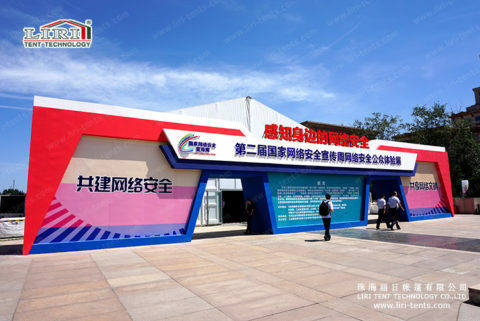 LIRI TENT, as a professional commercial tent supplier with years of experience in the application of big exhibition tent, provides exhibition tent rental and sales services for the various outdoor exhibition, allowing you to organize exhibitions with confidence, and customer to enjoy the show with satisfaction. 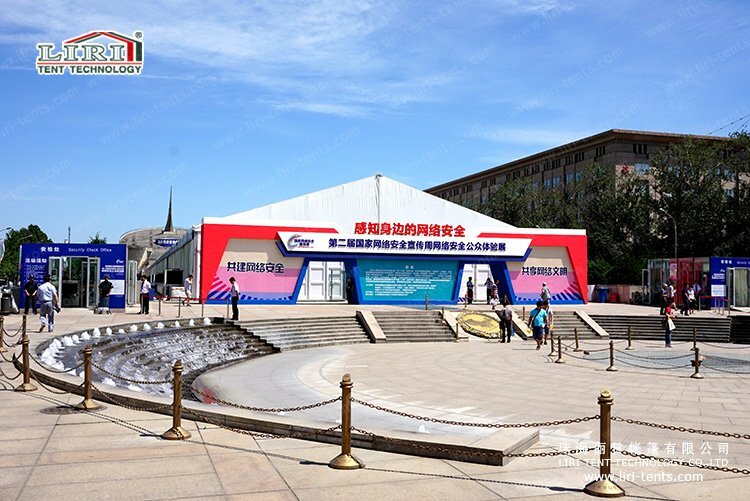 The 20×60 commercial tent we offer can not only solve the problem of high cost for the indoor exhibition hall while saving cost for you but also can use of limited space resources more efficiently, which will help the entire exhibition activity to achieve the best results. 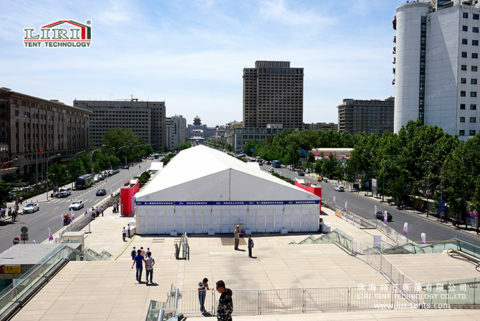 For the 20×60 commercial tent, our company also offers air conditioning, booth and a series of equipment. 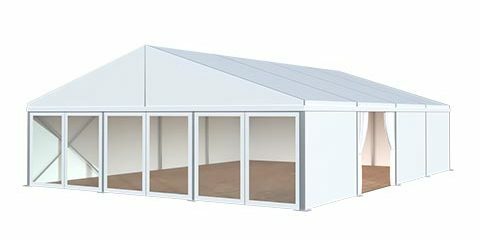 Whether it is a hot summer or cold winter, it can provide an appropriate temperature inside the tent, while maintaining the indoor ventilation. 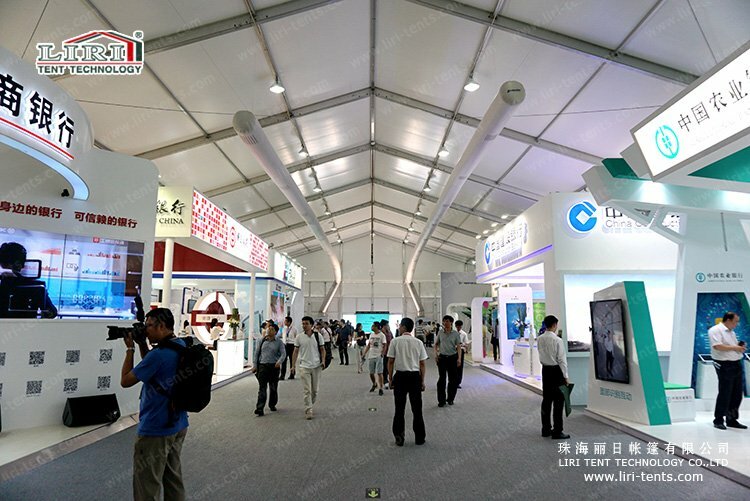 So the entire space will be full of fresh and comfort, which provides customers with superior exhibition environment! 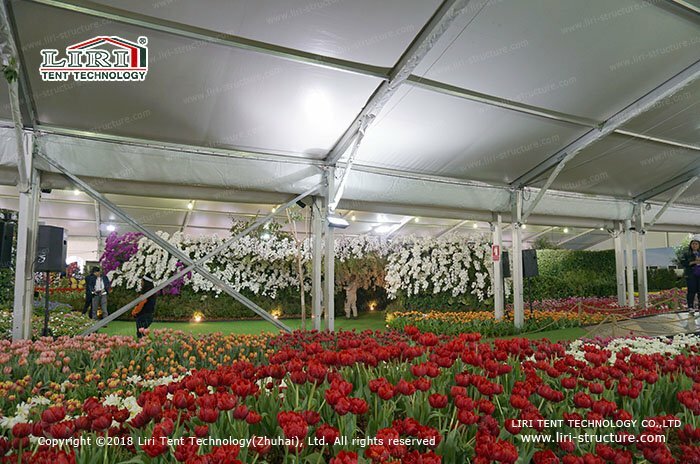 LIRI 20×60 frame tents also have a variety of different shapes available and they can make your show more bright and prominent. 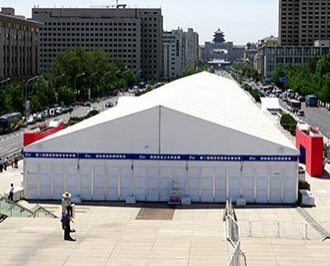 Such as 20×60 high peak tent, thermal cube tents, and other unique designs. 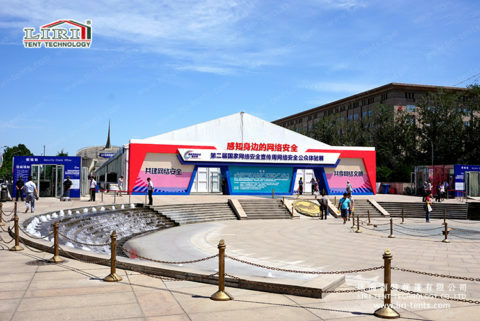 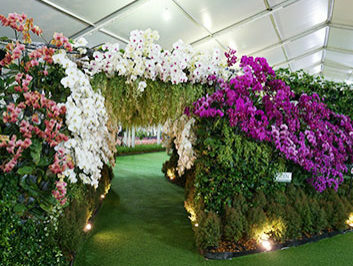 The freshest visual impact our tent can bring will make your show is filled with unlimited imagination and creativity.